Fruit machine-themed slots are popular for a reason MegaReel; everyone loves them! 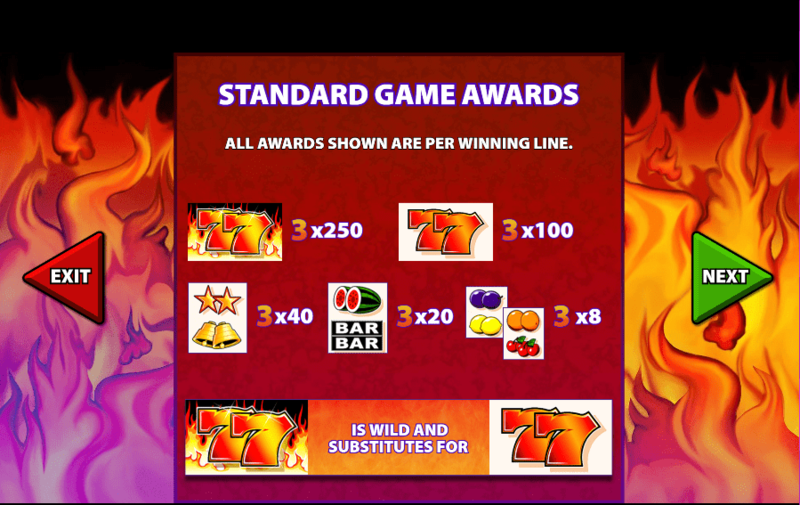 7s to Burn is a 3 reel, 5 payline slot with a classic fruit theme. This slot has a fiery twist which can be seen in the flaming design and hot features. It's a fairly straightforward slot featuring all of the old favourites bells, watermelons, oranges, and cherries. The burning 7s are the main focus of 7s to Burn and are worth up to 250x. 7s to Burn comes with a scorching set of features including a thrilling gamble feature. 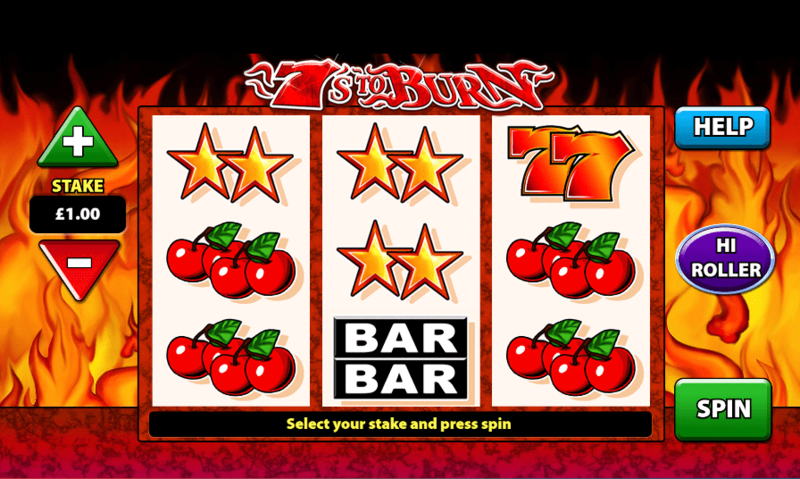 7s to Burn is a 3 reel, 5 payline slot with a classic fruit machine theme. You'll be hit with nostalgia every time you spin. There's a slight fiery twist with 7s to Burn with the addition of roaring flames and hot features. This slot is very simple so is great if you want a quick game. The design is super hot with scorching orange and red flames roaring in the background. Symbols include the classic golden bells, lucky 7s, and golden stars, as well as delicious fruits including juicy watermelons, sour lemons, plums, sweet cherries, and oranges. The Wild Symbols - The first wild symbol in this slot is the lucky double 7. Landing 3 lucky double 7s will award you 100x your total stake. The wild replaces all other symbols on the reels to form winning combinations. The second wild symbol is the burning 77. Landing 3 of these will grant you a super hot 250x your total stake. 7s to Burn Reel Symbols - To activate this feature, you'll need a winning combination that includes 2 stars and 2 golden bells. Landing 3 of these on a line will activate the jackpot where you will receive 40x your total stake. If you get a winning combination containing 2 watermelons and 2 double bars, you'll receive a 20x multiplier. A winning combination of 2 double fruit symbols will grant you 8x your total stake. If you're a fan of fruit-themed slots then you will like 7s to Burn. It's a great straightforward slot with an exciting fiery twist. The design is quite simple, but together with the bright fruits and roaring flames, it is a feast for the eyes. There aren't too many features to get involved with, however, there are some juicy prizes up for grabs with the gamble feature. Keep your eyes peeled for the burning 77 symbols as these can pay up to 250x your total stake. If you like this game, you might also enjoy 7 Monkeys.